Bruce Slorach spent his childhood exploring the wild places of Western Victoria where he developed a love for Australia’s flora and fauna. After graduating from the Victorian College of the Arts with a Bachelor in Fine Art, Slorach has enjoyed an extensive and rewarding thirty-year career spanning the arts, design, graphics and textile design, including running the celebrated textile and home furnishing brand, Utopia Goods with business partner Sophie Tatlow. 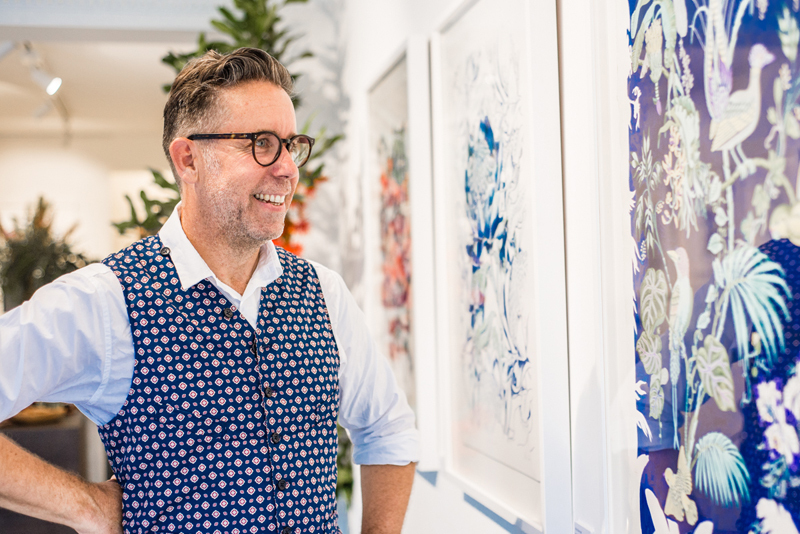 Bruce Slorach’s illustrations and textiles have been exhibited nationally and internationally including in a group show at the Victoria & Albert Museum (London) and are held in the permanent collection of the Powerhouse Museum (MAAS, Sydney) and the National Gallery of Victoria (Melbourne).